Celebrating Helen Rodríguez Trías #HispanicHeritageMonth « Adafruit Industries – Makers, hackers, artists, designers and engineers! Helen Rodríguez Trías was a Puerto Rican American doctor who advocated for public health, speficially in pediatrics and women’s health, in both Puerto Rico and in the poorer neighborhoods of the South Bronx in the 1970s and beyond. Her work was tremendously important to the communities she served. After graduating from school, she went on to study for a degree in Puerto Rico, where she became active in the Puerto Rican independence movement. She later re-enrol at the university to study medicine, graduating with highest honors in 1960, and that year also gave birth to her fourth child. During her residency, she established Puerto Rico’s first center for newborn babies, reducing child mortality rates by half within three years. 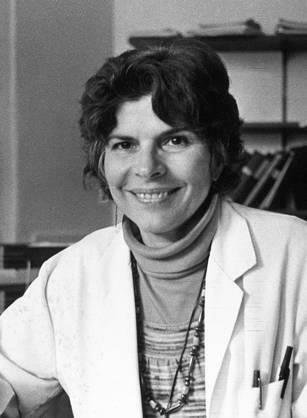 Returning to New York in 1970, Rodríguez-Trías became director of Lincoln Hospital’s department of pediatrics in the South Bronx, fighting for the healthcare rights of the neighborhood’s deprived residents.